Can A.I Help Us Sleep Better? Artificial Intelligence knows no boundaries. Till date, innovation in A.I technology has been astonishing. Experts believe that by 2025, developments in A.I will be extraordinary. 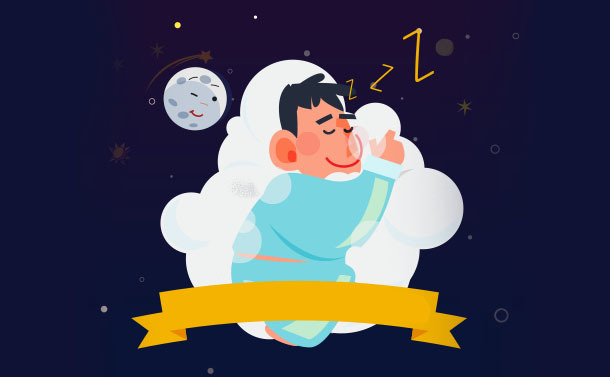 Even while sleeping, A.I technologies will ensure that you get better sleep at night. With tech companies like Neuralink, brain computer interfaces that will help you dream better will soon become a reality. However, there are few A.I technologies that are trying their best to augment human sleep. This article discusses how Artificial Intelligence will be able to improve sleep quality through various interesting concepts like neuro-reality. We’ll be also discussing some statistics about the current state of human sleep in the United States. Read On! Read Also : Should We Teach Artificial Intelligence To Lie Or Disobey Us? Why A.I Should Be Used To Improve Sleep? 10% of the adult population suffer from chronic insomnia whereas 30% suffer from short-term problems of insomnia. 48% of Americans snore on regular basis. Every month 4.7% of Americans doze off while driving at least. Drowsy driving causes 40,000 non-fatal injuries and 1,550 fatalities per year. Between 10 to 30 % American people (24-30% of men and 10-21% of women) suffer from obstructive sleep apnea. Although it’s just a small chunk of the big report, you may have understood that something isn’t right! The data though tells the story of the U.S., it is a prevailing condition at many countries worldwide. Either due to lifestyle choices or medical condition, humans aren’t able to get uninterrupted sleep at night. That’s why there’s a huge scope for A.I to work upon methods that can enhance human sleep. How A.I. Is Improving Sleep? You may have heard different mattress companies that uses A.I and Big Data to design better mattresses. But have you heard about mattresses that can pick up your sleeping patterns? The Sleep Number 360 Bed actually uses Artificial Intelligence to adjust according to your sleeping preferences. The smart bed uses machine learning and A.I and continues to improve itself every single night. For instance, Sleep Number 360 knows when to switch on the inbuilt foot warmer at cold weather. As powered by machine learning, the bed can learn your sleeping patterns and switch on the heater even before you jump into the bed. If you are snoring, the bed slightly raises your head for better sleep. It can also modify things like firmness and position throughout the night. Sounds exciting? However, it has not been declared when the mattress will be available. Read Also : How Artificial Intelligence Is Transforming Workplace Environment? Neuro-Reality is another astonishing concept that we will see in near future. Neuralink founded by Elon Musk is working for the development of a cutting-edge technology that connects human brain to digital world via brain computer interface. It makes it possible via a series of implanted electrodes. Neurables will create a virtual reality and tailor it according to user imagination and previous experiences. The machine will be able to read human emotions and reactions through A.I and convert them into BCI virtual reality. Renowned Futurologist Dr. Ian D. Pearson has the predicted that brain interface computer interface hardware will enable computer-aided dreaming. Neurables are the future of VR and AR. Soon, we will not be able to detect between virtual and the real world. A.I. researcher and enthusiast Marko Ahtisaari is trying to use Artificial Intelligence to identify the perfect music that can make you sleep easily. In his research, he is studying different sleeping patterns of several participants and attempting to identify an impeccable music for the purpose. Other than music, he is also taking the environment into account as it plays a crucial role in sleep. There are many conditions that cause Insomnia and it makes cure difficult and time-consuming. However, developers and researchers are attempting to develop A.I algorithms that collect and analyze several data points to understand the original cause of Insomnia. With the help of Big Data, algorithms will perform better individual diagnoses. Therefore, it can suggest an appropriate remedy in time for every condition. The more data we collect on sleeping patterns, the better we will be capable of designing systems that serve human sleeping needs. Combining efforts like environmental conditions, bedding and diagnosis, eventually, sleep diseases could be superseded. Until then, we can manage with our conscious attempts for a healthy sleep. But as we are being introduced to a new age of technology powered by A.I, we will see some cutting-edge neuro-reality systems that help millions get sound sleep more regularly.